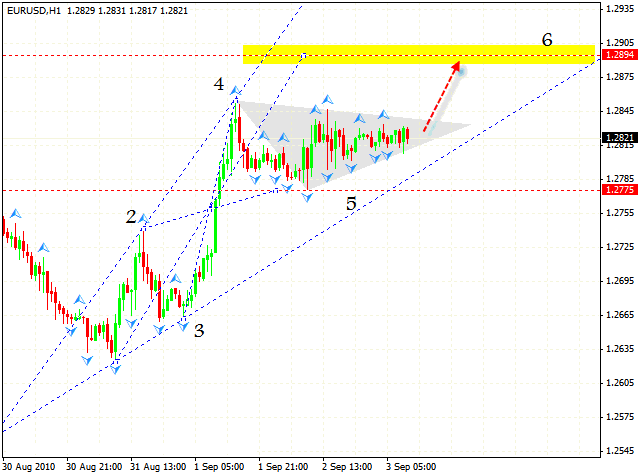 The H4 forex online trading chart shows us that the Australian Dollar is forming the rising pattern too. Currently the price is testing the upper side of the “triangle”. When the “triangle” is broken, we will see a significant movement into the area where the 4th point of reference is formed, 0.9323. Then there will be a correction to the lower side of the channel - 0.9153, and a final movement with the general target of 0.9411. One can try the tight stop purchases. 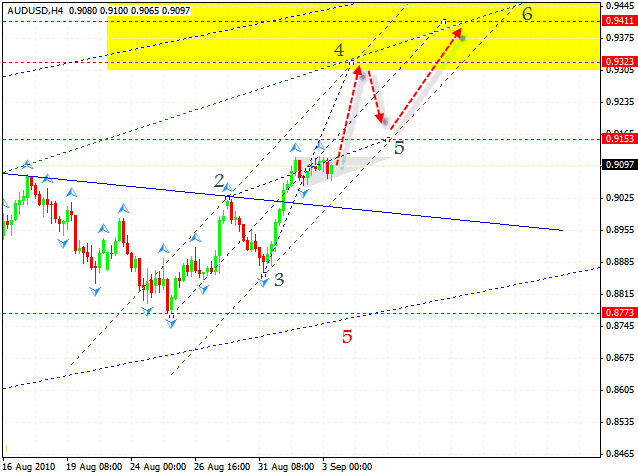 In case of Euro we still have the rising pattern with the target of 1.2894. Currently we can see a “triangle” forming. When the price is out of the “triangle”, we can try to buy Euro. 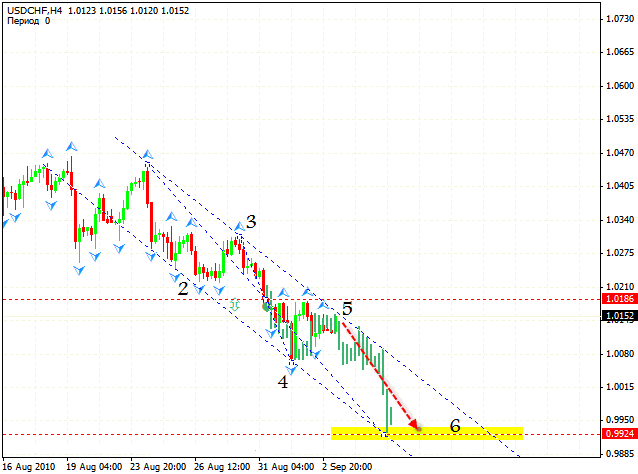 Franc is testing the line of the descending trend. We will probably see a further fall of the pair. Currently we have the 5th point of reference of the descending pattern forming with the target in the area of 0.9921. One can try the tight stop sales. If the price is out of the channel and fixed there, it will lead to the situation when this case scenario will be cancelled.